The traditional colorless diamond is still the most popular for engagement rings, although I have seen an increase in fancy yellow diamonds being used as center stones, as well as side stones in three stone rings. 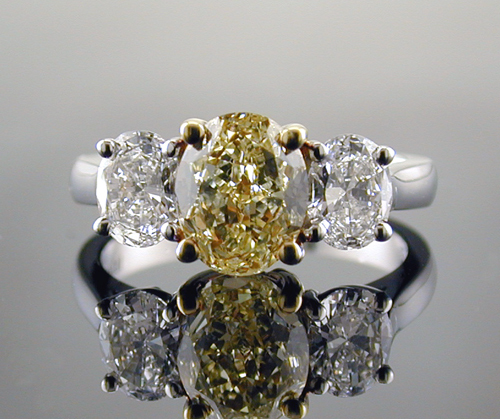 Fancy yellow diamonds have also become fashionable in many engagement ring mountings. The biggest trend in colored diamonds has been seen in fashion jewelry, especially right hand rings.